Home » Astana » Restaurants » Restaurant "Fusion"
Who could ever think just 20 years ago, that Astana can become the new capital of Kazakhstan and to grow to big modern city. The number of unique buildings, constructed here for last ten years, turned Astana into the real city of future, which united eastern and western styles as well. The restaurant FUSION became the distinctive analogue of Astana, where several cultures are combined. This is the entire restaurant complex, divided into three parts: American, Italian and Japanese. 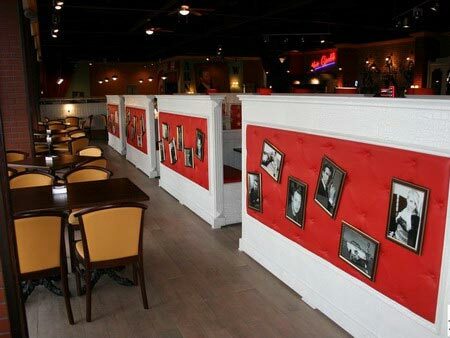 American steak-house can boast the rich menu of meat dishes and the classic music of conquerors of the West – Country. The Italian restaurant will not leave indifferent the connoisseurs of European cuisine and live music will supplement the atmosphere of comfort and coziness. Japanese sushi bar will take you to a distant and mysterious Japan, and will acquaint you with the most delicious seafood. FUSION is the opportunity to make the culinary tour, tasting the dishes from America, Europe and Asia. And besides that, the complex has two VIP-halls with karaoke an nightclub “FASHION”, where you can have a fun and to dance to modern club music. In addition, Wi-Fi and other facilities will be to the point during business meetings and mini-conferences.